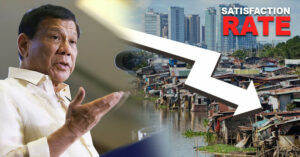 This week has been quite ordinary for some, but not for Filipinos! Aside from the recently concluded village polls, explosive news about politics and foreign relations dominated almost every Filipino home. Find out what these news are, and why they became talk of the town. This week has been etched in history with explosive news on politics, economy, and tourism! 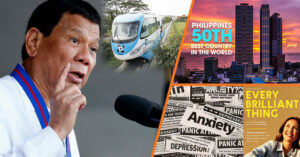 President Duterte has been named one of the most powerful people in the world while the rest of the Philippines juggles concerns on national security,, promotion of agriculture, and popularization of local culture. Filipinos still tagged Duterte’s administration as “very good”, though some have become dissatisfied with the administration during the first quarter of 2018. The Social Weather Stations survey for the first quarter of 2018 showed that only 69% of adult Filipinos are satisfied with President Rodrigo Duterte’s leadership. The rest of the Filipinos are either dissatisfied (11%) or unsure of their opinions (18%). Though these data resulted to a +58 “very good” satisfaction rating, it was a bit lower than December 2017’s record of +70. SWS said Mindanao gave Duterte an excellent rating (+72), while a +50 net satisfaction was yielded from Balance Luzon. Duterte’s net satisfaction ratings also suffered a decline in three issues. In September 2017, Filipinos gave Duterte an excellent rating of +70 for rehabilitating the battle-torn Marawi City. It can be recalled that the fighting in Marawi ended in October 2017, when Duterte himself declared that victory against extremist forces have been attained. Five months after the liberation of Marawi, Filipinos gave Duterte a +63 on his thrust of rebuilding Marawi City; clearly, a dip from his previous year’s ratings. In the midst of the Philippines’ diplomatic tension with Kuwait, Filipinos gave Duterte a +36 net satisfaction rating, which is significantly lower than the +55 he got in December 2017. SWS said “this is the lowest in two years, since the good +36 in April 2016. 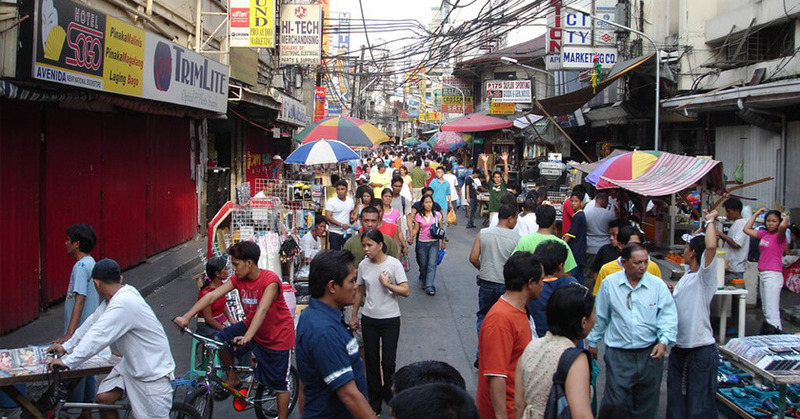 As for the issue of rising inflation, Filipinos a “neutral” +6. Prices of commodities surged after Duterte’s pet taxation program, the Tax Reform for Acceleration and Inclusion (TRAIN) was enforced. 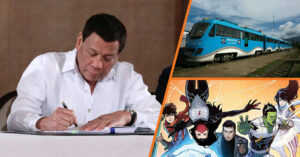 In spite of these dips in his satisfaction rating, Duterte remained commendable for various issues such as eradicating corruption, ensuring an efficient public transportation system, reconciling with Muslim rebels, and many more. Duterte’s recent satisfaction rating came when 30% of Filipino families was said to have escaped poverty. The said data were part of the SWS 2018 first quarter survey that studied the Filipino families’ transition in or out of poverty. While one out of three Filipino families escaped poverty, the same survey showed that one out of eight, or 12%, fell into poverty. Photos are from Pinterest and CNN Philippines. 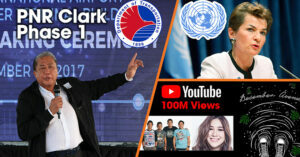 BCDA presents the latest developments on the expansion of Clark International Airport. 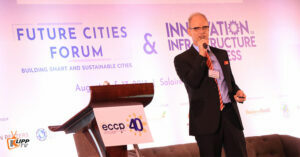 PH based German company Flood Control Asia RS Corporation conveys eagerness to help advance the country’s demands of building smart and sustainable future cities at ECCP forum. 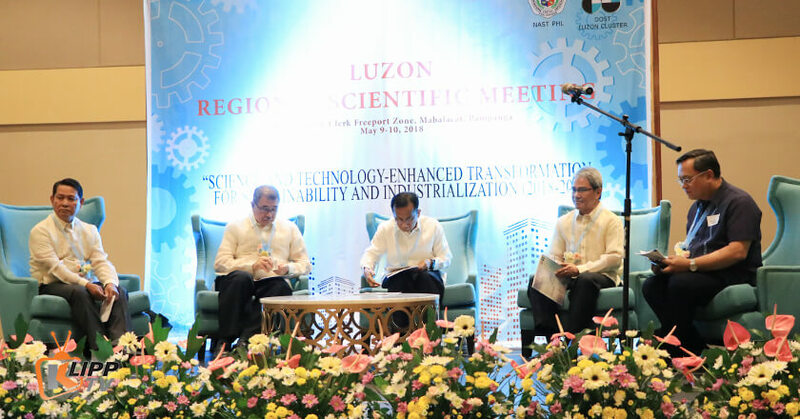 CLARK FREEPORT ZONE – The National Academy of Science and Technology, Philippines (NAST PHL), an agency under the Department of Science and Technology (DOST) tackled the challenge of industrialization in its 2018 Luzon Regional Scientific Meeting held on May 9 to 10 at Royce Hotel and Casino. This year’s regional scientific meeting revolved around the theme “Science and Technology-Enhanced Transformation for Sustainability and Industrialization (2018-2030)”. 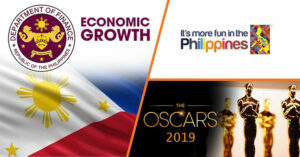 The said theme sought to address the needs raised by the Philippine Development Plan, which was a comprehensive program towards the country’s modernization and economic surge. 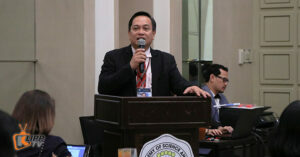 Government officials, representatives from the private sectors, and heads of higher educational institutions from all over Luzon came to participate in the said two-day scientific conference. 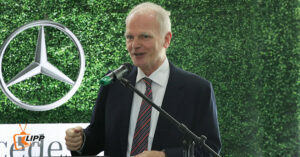 Among the topics that were tackled – all under the overarching banner of industrialization – were sustainability and resilience, science culture and the Sustainable Development Goals, affordable and clean energies, sustainable cities and communities, and consumption and production. 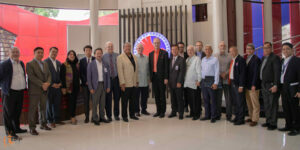 The said concerns were discussed through paper presentations by members of the NAST PHL. 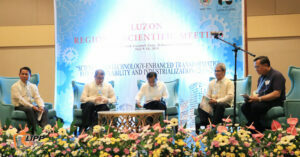 Science and Technology Secretary Fortunato T. Dela Peña said science and technology can contribute to the success of President Rodrigo Duterte’s 10-point economic agenda. 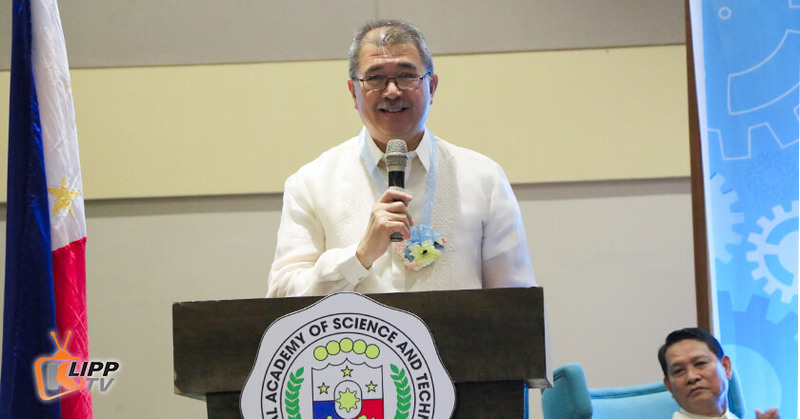 DOST Secretary Fortunato Dela Peña said that science and technology are crucial elements in the success of the country’s long-term development plan. He cited his agency’s efforts in research and development as evidences of the government’s attempts to improve the situation in the countrysides. One of these research and development programs is the establishment of testing laboratories in each region. These testing laboratories serve micro, small, and medium enterprises (MSMEs) that are looking for agencies that can certify their product’s qualities. 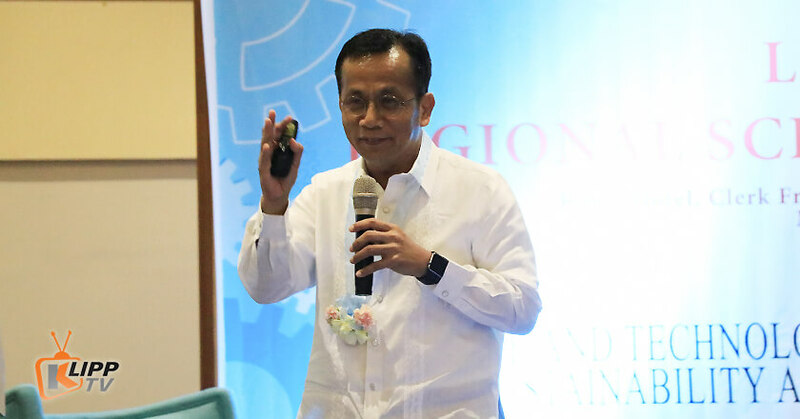 This relationship between science, technology, and progress was captured in a statement Dr. Arsenio M. Balisacan, a NAST PHL academician in the field of economics, said at the end of his keynote speech. Dr. Arsenio Balisacan talked about the current economic status of the Philippines and the need for a stronger scientific culture. Majority of Filipinos are still satisfied with the Duterte administration, though some have shown discontent. News about employment, shift to federal form of government, Asian economy, and tourism made up this week’s history. 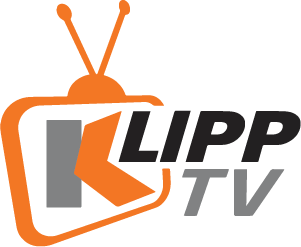 Watch Trending Klipps and be the first to know what happened in the Philippines’ first week of May! 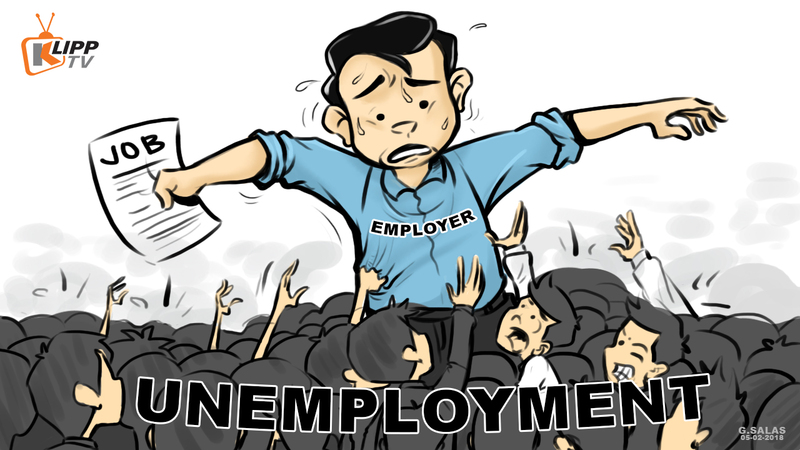 The number of unemployed adult Filipinos spiked in the first quarter of 2018, a nationwide survey released on Labor Day said. As if to echo the rallying cry of those who gathered on the streets on May 1, the Social Weather Stations (SWS) survey for the first quarter of 2018 said around 10.9 million Filipino adults were jobless. 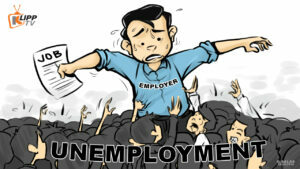 These unemployed adult Filipinos either left their work or were seeking jobs for the first time. This year’s data was remarkably higher than December 2017’s 7.2 million unemployed adults. The Presidential Communications Operations Office (PCOO) tackled this issue by releasing a statement saying that the government would “continue to address and improve the labor situation in the country”. The PCOO also stressed that while the number of jobless adult Filipinos rose, the number of those employed also surged from January 2017’s 39.3 million to January 2018’s 41.8 million. Also, according to the Philippine Information Agency, job fairs organized by the Department of Labor and Employment (DOLE) opened up around 143,000 job openings on Labor Day. These job fairs would open local and overseas employment opportunities for Filipinos, DOLE Undersecretary Joel Maglunsod said. President Rodrigo R. Duterte himself capped the Labor Day commemoration by signing the much contested “anti-labor contractualization” order. It can be recalled that during his bid for the presidency, Duterte promised that he would completely abolish the practice of hiring employees on a fixed-term basis. 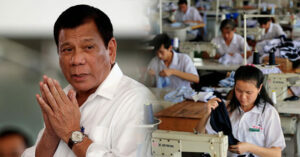 The president, however, said recently that the abolition of job contracting would only be possible through a legislation passed in the Philippine Congress. 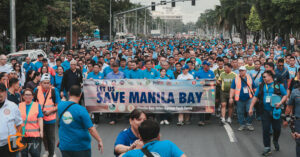 Such a pronouncement spurred protests from labor groups. Days before the Labor Day, Presidential Spokesperson Harry Roque said Duterte might still sign an executive order to ban illegal job contracting. Duterte finally signed the Executive Order 51 on a government-sponsored Labor Day commemoration activity in Cebu City. PH Congress to impose stricter rules on media and four more headlines of this week! 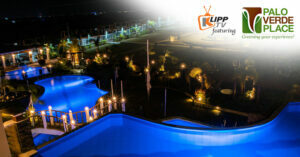 CLARK FREEPORT ZONE – Clark is not just a hub for business, it’s also a haven for tourism enthusiasts and travelers. 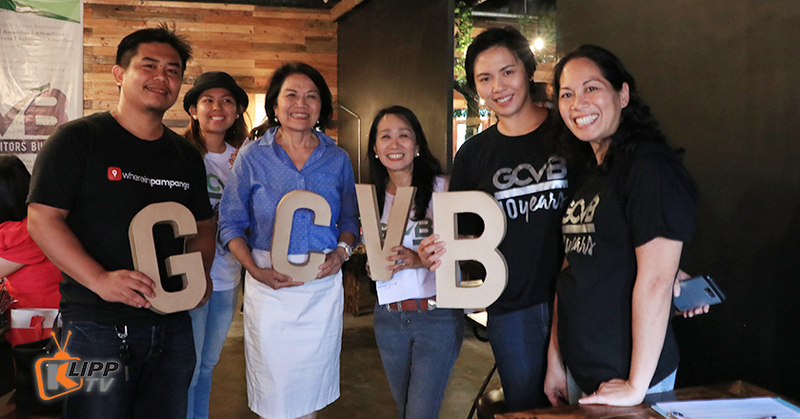 Such was the mantra of Greater Clark Visitors Bureau (GCVB) which they shared to selected members of the Clark community in a business-to-business (B2B) meeting they organized on April 25 at the Amante Ribs & Steaks, El Kabayo Compound. The said B2B aimed to bind all tourism advocates of Clark and help them come up with synchronized efforts for tourism promotion. 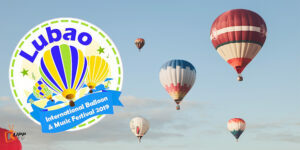 Representatives of famous tourist attractions in Clark, like Nayong Pilipino, Zoocobia, and Aqua Planet, participated in the said B2B. Rina Villavicencio, an officer of the GCVB and an active tourism advocate in Clark, said the B2B was not organized for the sole purpose of establishing networks among proprietors of hotels and recreational parks in Clark. It was also geared to establish camaraderie among like-minded people who have passion for tourism. Where else to go in Clark? 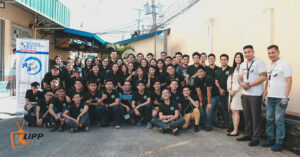 Among those present was Edren Denzel of Nayong Pilipino. 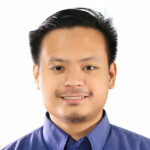 He said Nayong Pilipino beefed up its services by featuring more cultural performances. 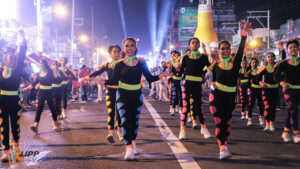 As for Zoocobia, Lino Besa, its operational manager, encouraged people to visit the park’s “Night Owl” show, a nighttime exhibition of animals and indigenous performers. The GCVB is part of the North Philippines Visitors Bureau (NPVB), a social responsibility arm of the Manila North Tollways Corporation. 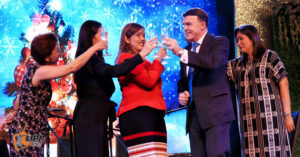 To celebrate its successful ventures in Clark Freeport Zone, Filinvest Group hosted a gala night on the grounds of Quest Hotel and Conference Center. 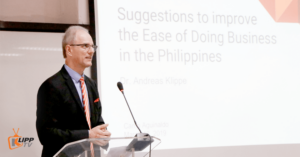 Instead of focusing on "points of divergence", the EU's ambassador to the Philippines banked on the culture and values that this country shares with the West. President Duterte brought home investments from China, while Manila became one of Asia’s fastest rising city. On the other hand, Grab has finally found a competitor. The Philippine government raised the standards for telco firms and assured the public of corruption-free infrastructure projects. 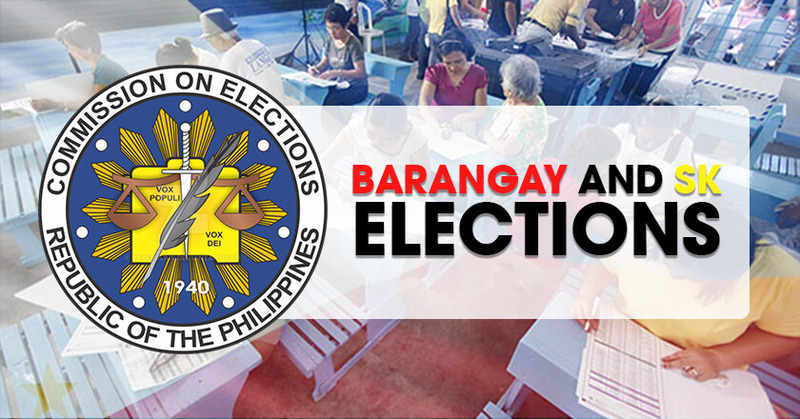 The Commission on Election (COMELEC) formally announced on April 14 the start of barangay (village) and Sangguniang Kabataan (SK; commonly translated as village youth council) election period. 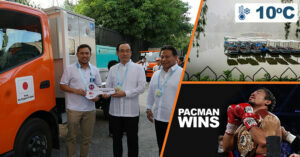 The start of the election period also opened the filing of the certificate of candidacy (COC), which will last until April 20. A gun ban also took effect on April 14. The said gun ban is considered one of the safeguards of peace and order every election period. Aside from the uniformed men of the Philippine National Police (PNP and the Armed Forces of the Philippines (AFP), no one will be allowed to carry firearms in public. This ban covers even those with a license to carry firearms. The COMELEC will issue an authorization for legitimate law enforcers who carry firearms on duty. 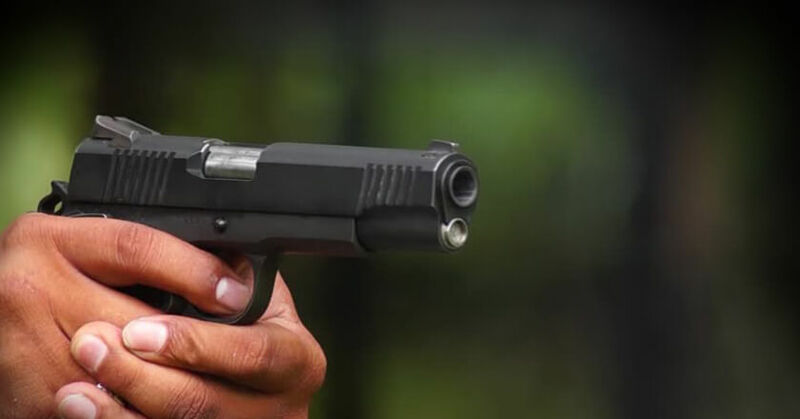 Those who are not covered by this privilege of carrying firearms during the ban are required to file a request for an exemption at the COMELEC Committee on the Ban of Firearms and Security Personnel (CBFSP). 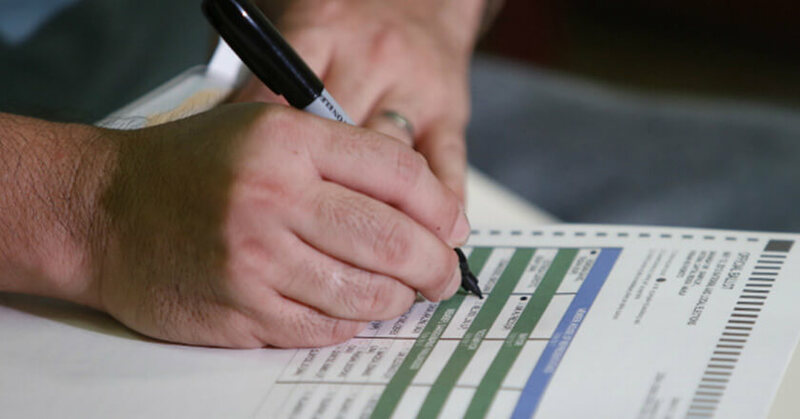 However, the April 14 announcement did not signal the start of the campaign period. The campaign period will only begin on May 4. 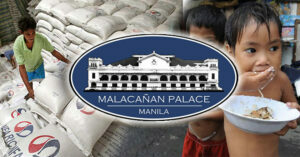 Malacañang said that rice supply is still at a normal level; thus, silencing fear of shortage. NFA, on its part, proposes a rice reserve system.